The first reading today presents us with the last part of God’s creation. It was in this last part that man was created. Though we have said something in the past concerning the position of man as the last thing created and the extreme form of love God bestowed on him. But I would like us to reflect more on this. Though the last thing created, man was placed to be in charge of all the things created before him. Though the last thing created, man was created in the image and likeness of God of which all others that came before him were not made in this way. What a great love! Though the last thing created, man was endowed with exceptional faculties especially that of reason of which those things created before him were not endowed with these exceptional faculties. Though he came last in the order of creation, he was made the Chief Executive and the only creature that God gave the mandate to subdue the earth. Imagine the special privilege given to man that all the plants in their different kinds and different species of animals were given to man as food and man was not given to anything as food but all other things were given to him for his own good and comfort, to use and direct them accordingly! Indeed, man is the beauty of creation. Looking at all these privileges God has given man for his own good and comfort, our lips ought to be filled with endless thanksgiving and praises to God. we ought to be rendering Him who made us in this special way an unending gratitude and worship. what is man that you should keep him in mind, mortal man that you care for him? yes, even the savage beasts, birds of the air, and fish that make their way through the waters. 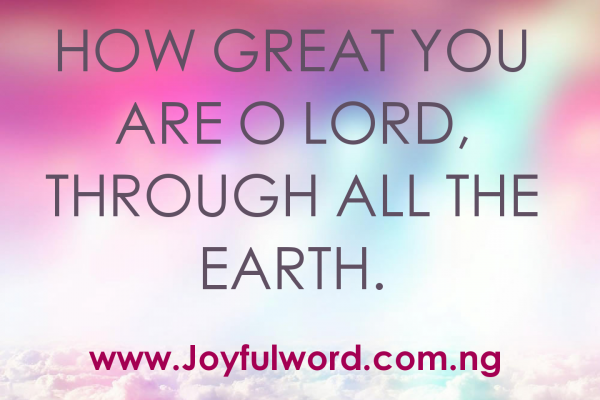 This hymn is supposed to be our daily hymn of praise to God for creating us in a special way especially in His own image and likeness and placed us to be in charge of all other created things. Let us from today develop a positive attitude of giving God authentic worship and praise for all we have received from Him and His numerous blessings on us. Let us not be like the people that Christ referred to in the gospel of today saying “These people honours me only with lip-service, while their hearts are far from me. The worship they offer me is worthless, the doctrines they teach are only human regulations” (Mk 7:6-7). 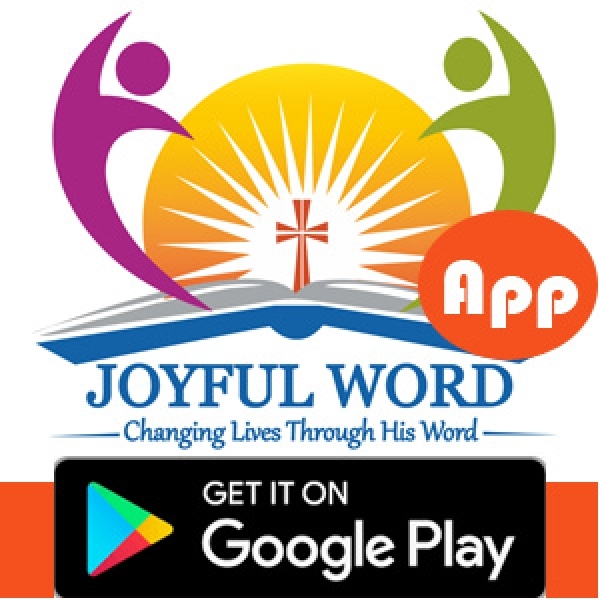 Let us, therefore, brothers and sisters not make the Word of God null and void in our daily Christian living like the Pharisees and Scribes during the time of Christ but let the Word of God be our stronghold that directs our actions and our way of life. Let Us Pray: O Lord, you created me in love and have given me a lot of privilege in life. May I not take your love for granted, instead, let me use every opportunity I get to praise your name. Amen.